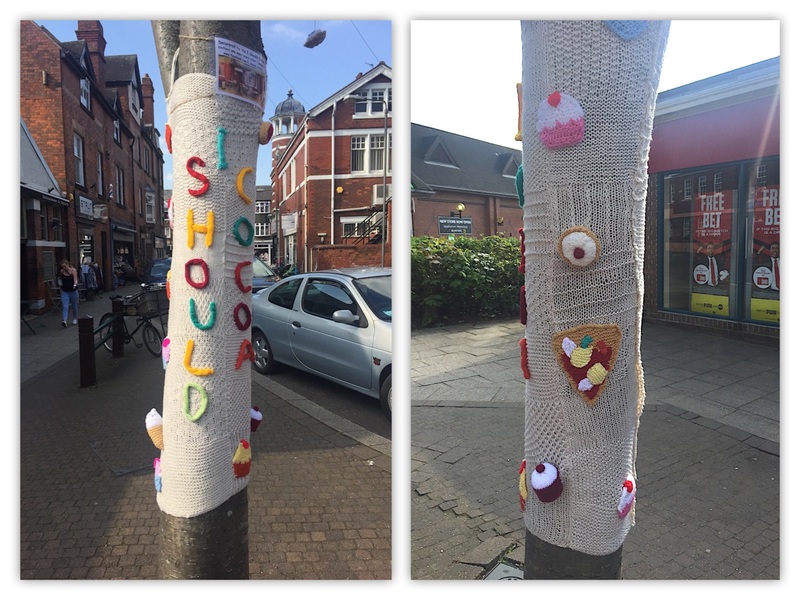 This year as a new event for Belper Arts Festival, local individuals and groups were asked if they would Adopt a Tree on King Street. 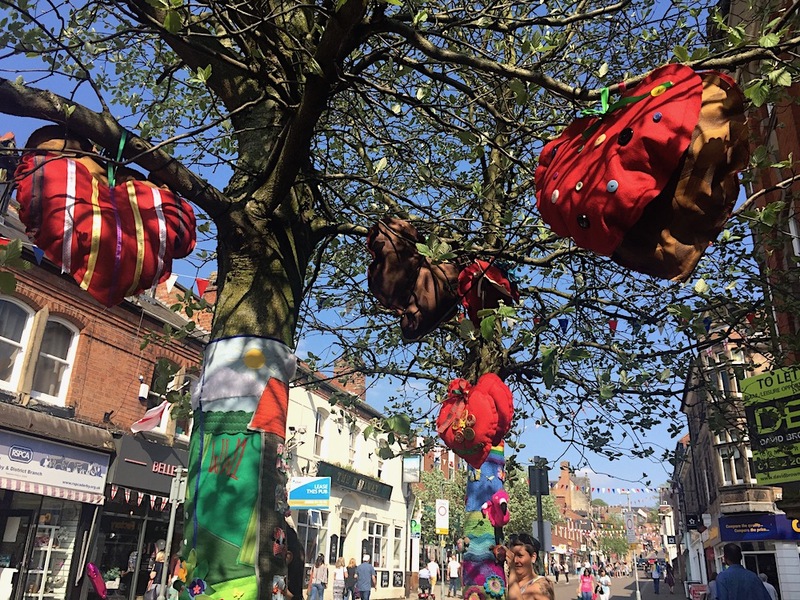 The trees were decorated for the duration of the Arts Festival. 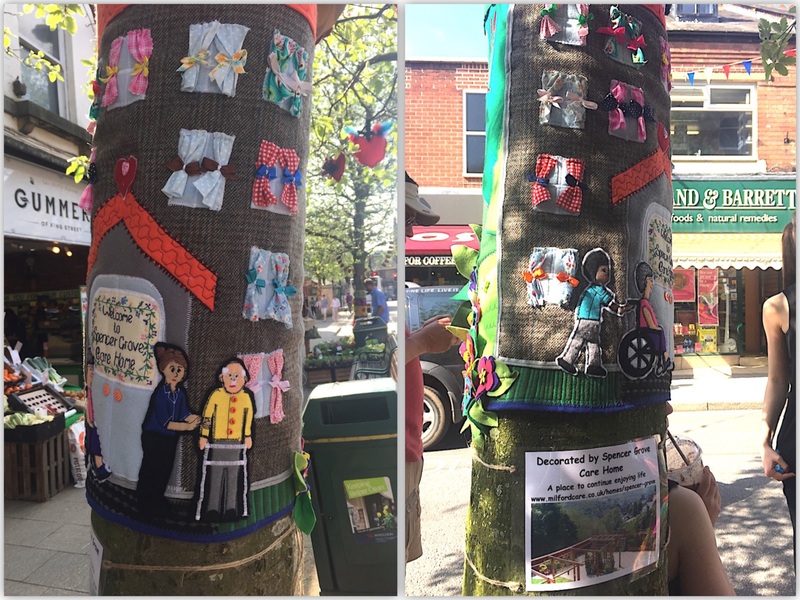 The idea was suggested back in Autumn 2017 and was quickly taken up by a number of people in the town of Belper. Trees were installed on May 5th and taken down on May 28th. 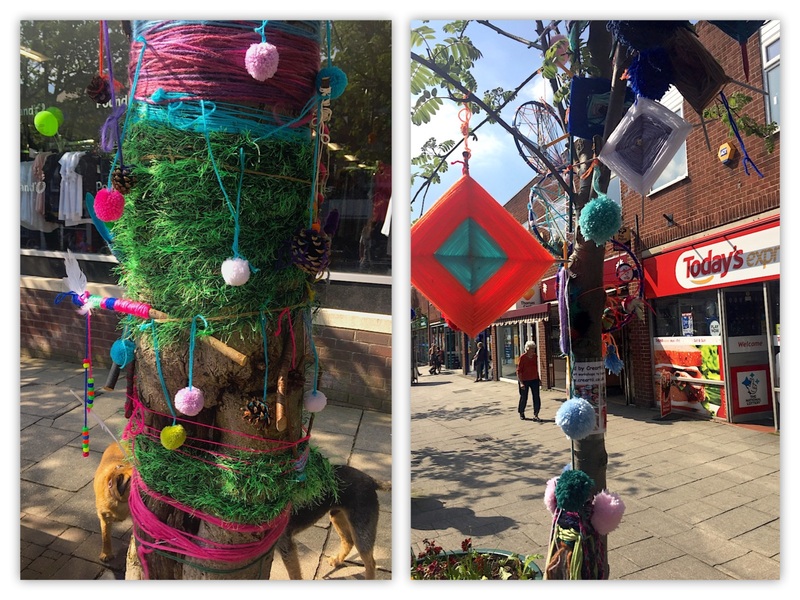 It was great fun and the people of the town plus visitors loved looking at the trees. 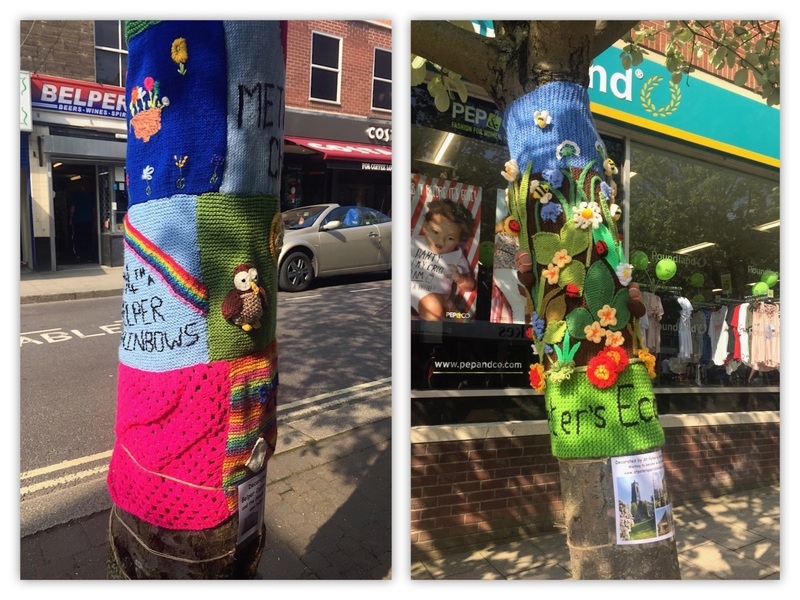 We were extremely lucky that Andy Savage made a film of all the Yarn Bombed trees. This film is fantastic and really gives a good feel of how all the very different amazing trees looked. The photo above is one of the tree made by Spencer Grove Care Home and here is a couple more of their tree. Trees were also also decorated by the young as can be seen on the next two photographs. The first by Stepping Stones and the second by Creartii Belper who offer workshops for both children and adults. 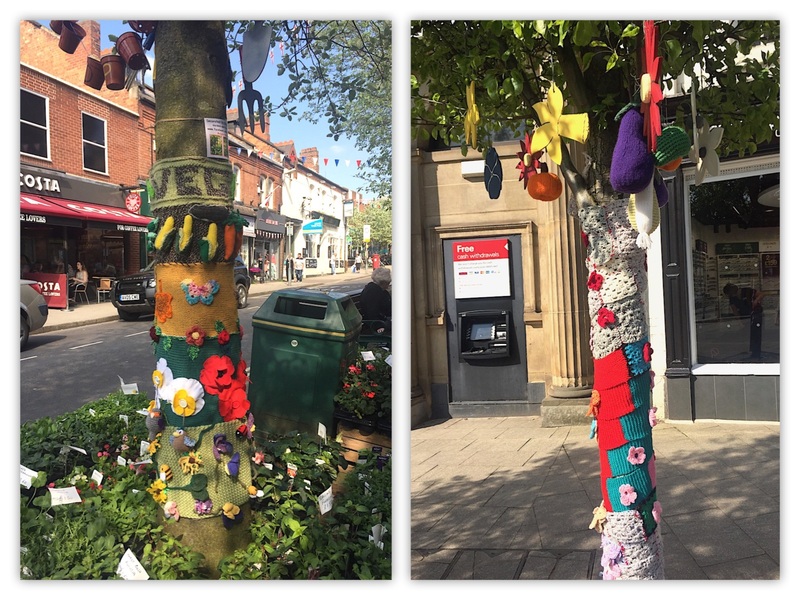 Local gardeners were involved, with one tree being created by Belper Gardening Club, and two trees decorated by Belper Open Gardens. 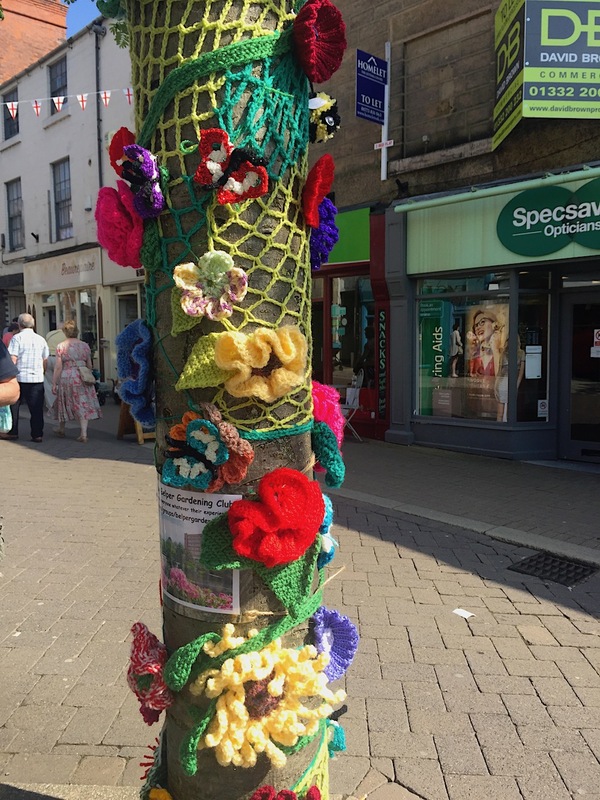 Local Church Groups got involved with the Methodist Church, Knit and Natter group decorating a tree which showed all the different people that meet at the Methodist Church. St Peter’s Parish decorated a tree with flowers and wildlife to show how they are working towards becoming an Eco Church. This is a movement for churches right across all denominations to look at how they can care for God’s world with both their buildings and land. During this last year we have been all been made increasingly aware of the problems that plastic is causing our planet particularly single use plastic. It is not a new problem but since the programme Blue Planet more of us are starting to think about how we can cut down on the amount of plastic we use in our daily lives. This year a new Facebook Page has been set up Belper Beats Plastic to try to keep the issue uppermost in our minds. 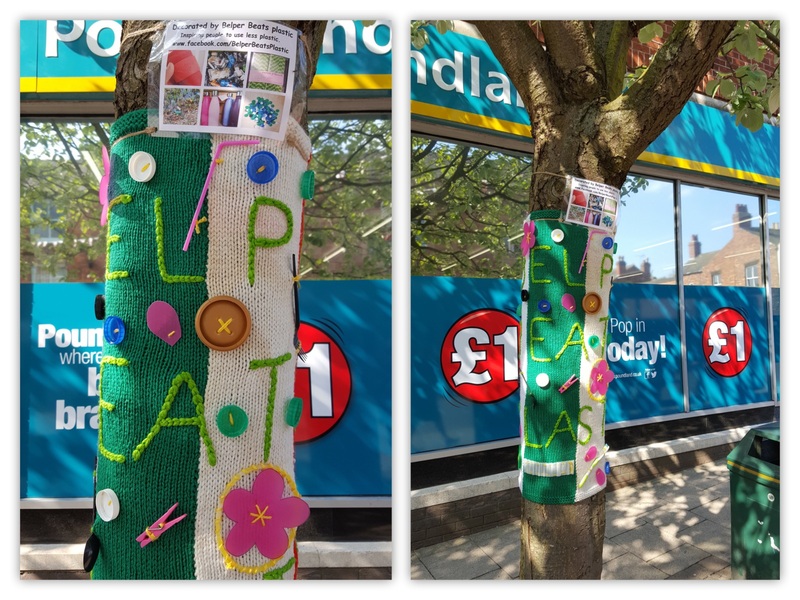 Belper Beats Plastic had a tree near to the bus stop on King Street. Community Groups made trees, including the Blue Box Community who are looking to build, a community facility on the Parks Estate in Belper. 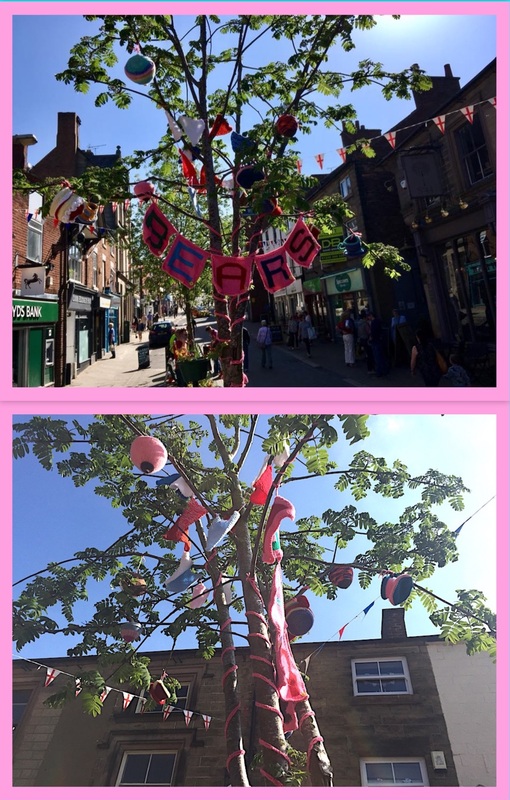 Another local group who had great fun making a tree were B.E.A.R.S a support group who offer, ‘Breastfeeding Experience, Assistance and Reassuring Support.’ There was one tree decorated that was not on King Street. It was the tree opposite the cafe and chocolate shop I Should Cocoa . 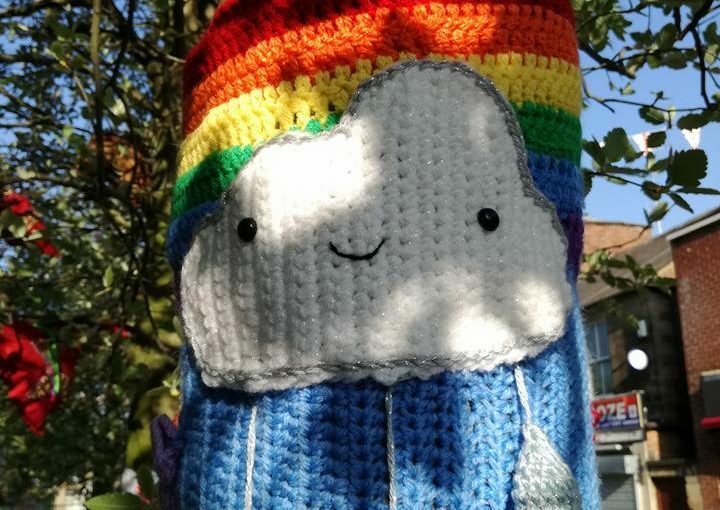 The reason is because this tree was knitted and created by a knitting/crochet group that meets every other Tuesday in the room upstairs at I Should Cocoa. The next meeting is on Tuesday May 29th from 10.00-12.00. We were also very pleased to have trees made and constructed by the Pedder Family and Suz Hennessey. 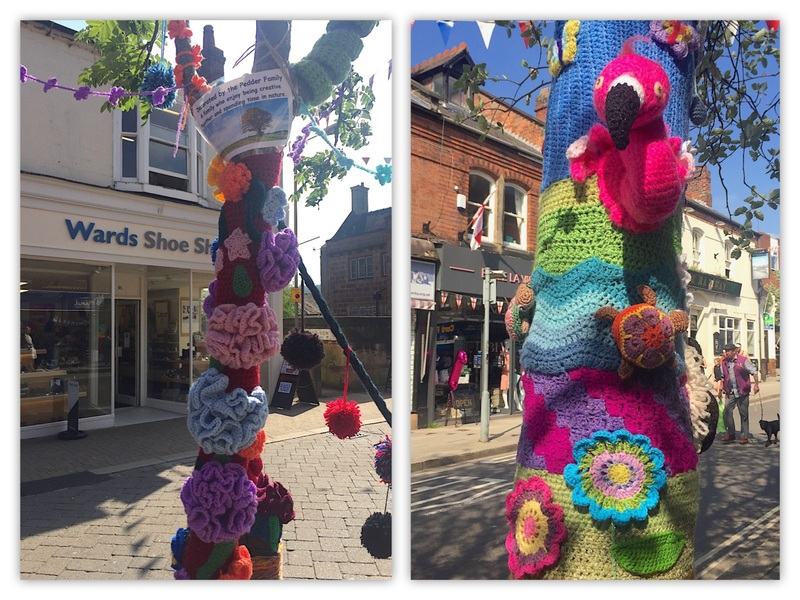 There was a tree decorated outside our newest charity shop in Belper, Derbyshire Wildlife Shop. This shop sells good quality second hand goods as well as new items with the money helping the Trust to protect wildlife and wild spaces. 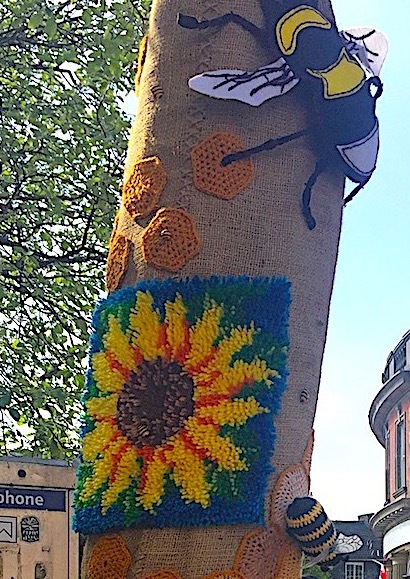 The Wildlife Shop tree is decorated with bees and a large sunflower. The last tree decorated this year was completed by members of a craft group from Belper North Mill Museum, called Cotton-On craft Club. The group started meeting once a month at the North Mill and has now moved to The Fleet Arts centre in Belper. 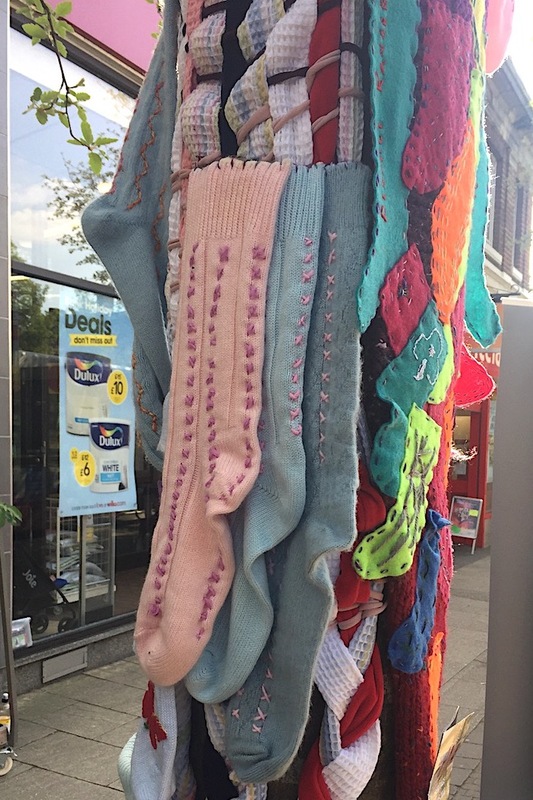 The tree has many decorated socks as a nod to Belper’s heritage of sock making with the socks being decorated by hand which is known as chevening. A big thank you to Kim Kerry who organised the making and construction of the last two trees on the blog post. 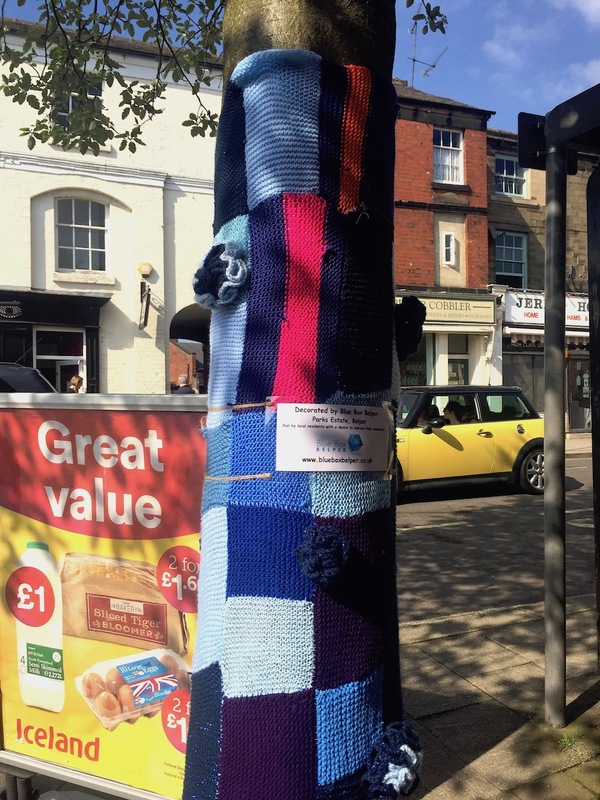 Posted on May 28, 2018 August 11, 2018 Author Anne ClarkCategories Adopt a Tree, Belper Art Festival, community, Crochet, Days Out, Family Fun, knitting, Making, Yarn Bombing, YarnbombingTags Adopt a Tree, Belper, Belper Arts Festival, Belper Arts Trail 2018.